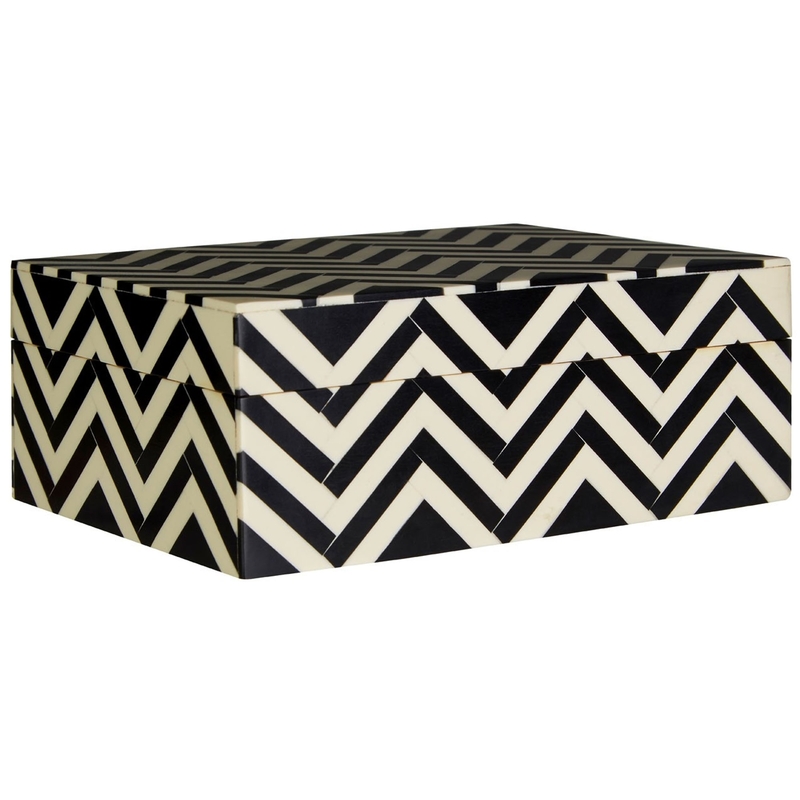 Add a modern style to your home by introducing this gorgeous Zig Zag Bowerbird Large Trinket Box. This trinket box features a lovely zig zag pattern that'll be sure to stand out and grab attention, whilst adding a modern style to your room. This trinket box is created from a sturdy combination of Buffalo Bone, MDF and Resin.